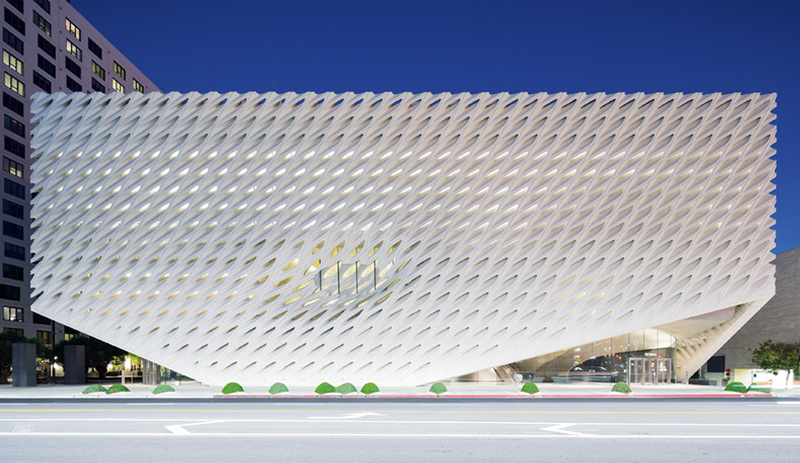 The museum’s perforated veil, composed of reinforced concrete modules, extends to the sidewalk of Grand Avenue in Los Angeles. 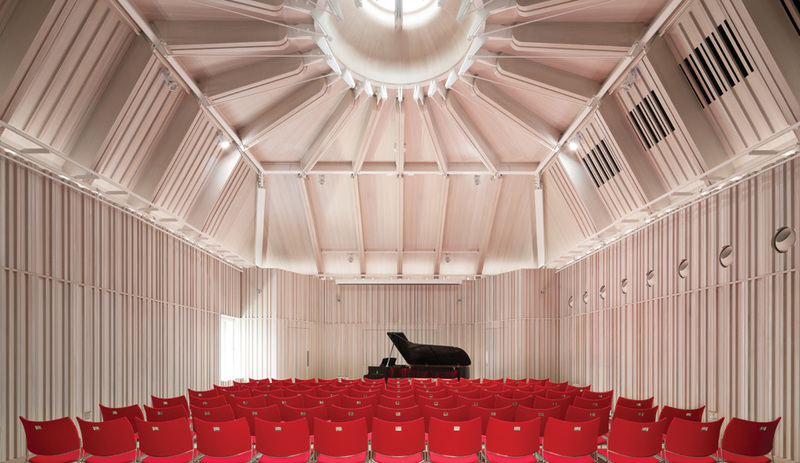 The top floor is turned over to 3,250 square metres of column-free gallery space with soaring seven-metre ceilings. 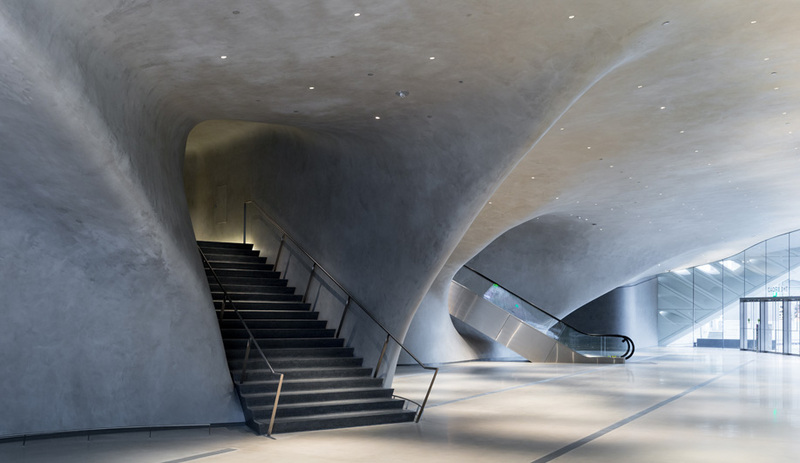 Cantilevered over the ground-floor lobby, the vault’s sculpted concrete form is an ominous presence. 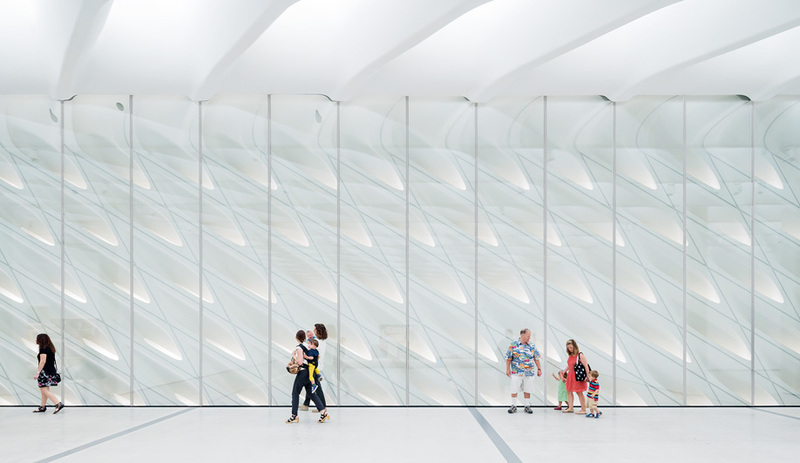 Even Along Grand Avenue, a street that is becoming Los Angeles’s major hub for architectural show-stoppers, the all-white honeycomb veil is hard to miss. 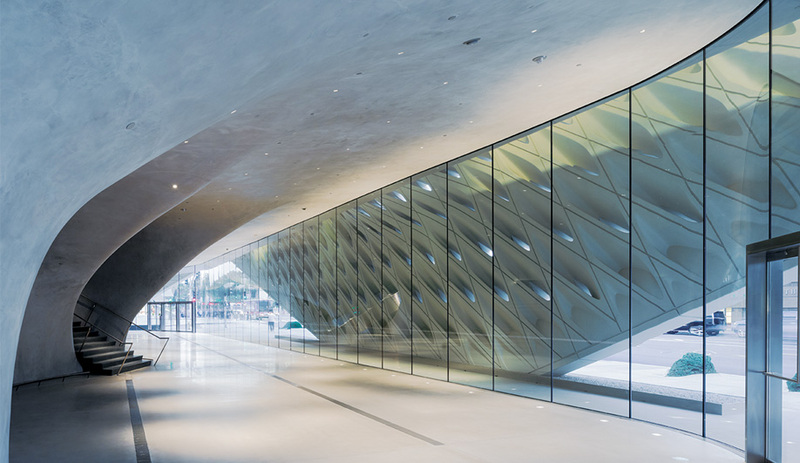 The Broad, which opened in September, sits next door to the silvery waves of the Walt Disney Concert Hall and kitty-corner to Arata Isozaki’s heavyset Museum of Contemporary Art. Housing the collection of Eli and Edythe Broad, the private art museum’s rectilinear form is cloaked on all sides (including the roof) by a perforated shell, with a blocky profile antithetical to Frank Gehry’s roller-coaster curves. The veil, assembled from fiberglass-reinforced concrete modules set on a steel frame, resembles fabric cut on the bias, with the diagonal pattern designed to capture and diffuse indirect light. At street level, DS+R has employed one of its trademarks, slicing off the building’s corners to create dramatically angled entryways and portals, like a lifted skirt. 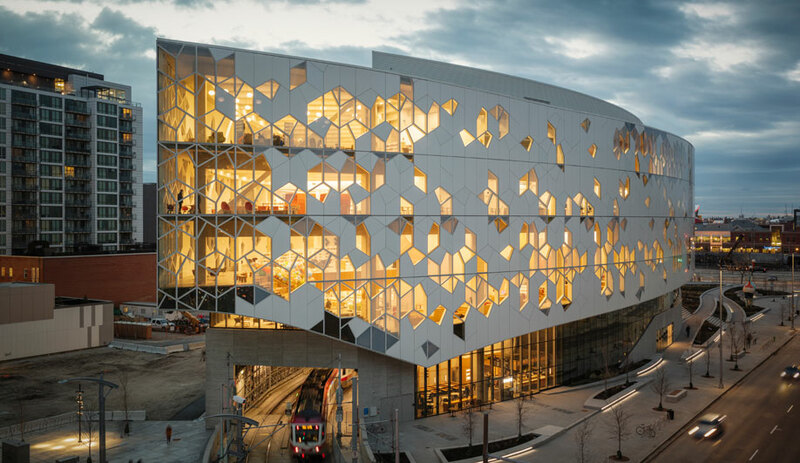 The veil envelops all three storeys: a vast lobby and exhibition spaces on the ground floor; the archives, which fill the second level; and 3,250 square metres of uninterrupted exhibition space on the top floor. Without pillars or load-bearing walls, this sprawling gallery easily accommodates the largest pieces from the museum’s collection of postwar and contemporary American art, which comprises 2,000 works by such artists as Jeff Koons and Barbara Kruger and includes the world’s largest body of photographs by Cindy Sherman. The sidewalk from Grand Avenue flows directly into the lobby, broken only by a wall of glass. From here, a seemingly endless escalator glides through the central concrete vault, where the archives are held, and deposits vis­itors on the top floor. 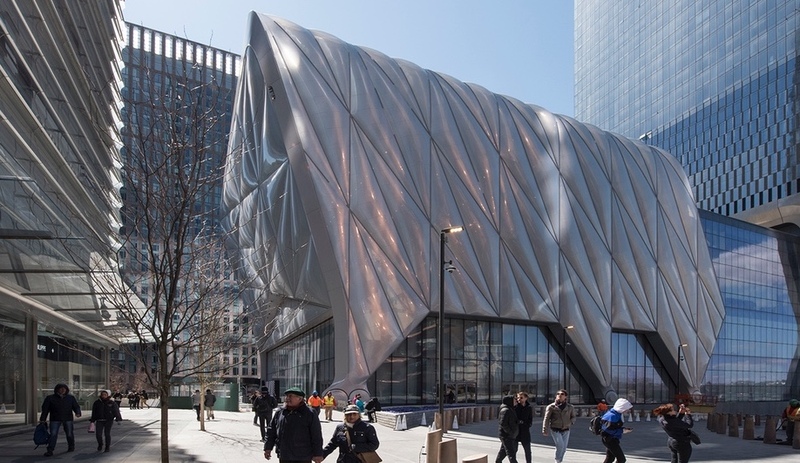 “There was a paradox in the ambitions of this building,” Diller says. While the museum was intended to contribute to the area’s ongoing revitalization, the brief required a substantial amount of archiv­al space on site. Rather than mere storage, the firm decided to make it an active, visible architectural component. “Our sculptural effect, unlike Gehry’s, is more on the inside,” says Diller. From the top gallery, visitors descend to the vault along a circuitous staircase. Though the archives are physically off limits, racks of paintings and scenes of conservators at work are on full view through two glass windows. 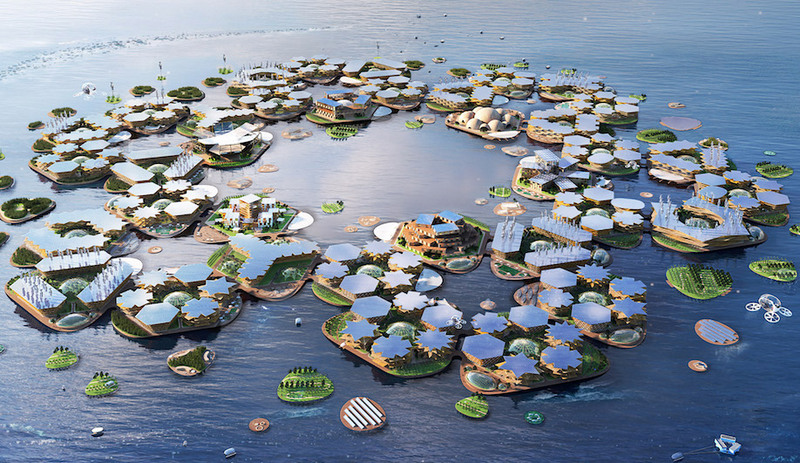 “We think of it as pre-curated art,” Diller says. From outside, the vault is coyly visible through the veil, and more apparent or less so throughout the day. A large window that provides the vault with daylight is set into a dimple in the cladding, appearing as if it is being sucked into the building. 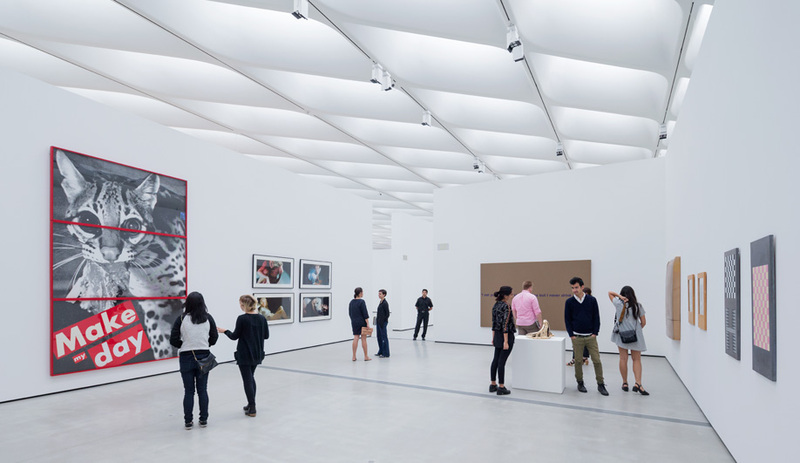 It’s a bold move, but then the Broad represents just one family’s personal tastes, and, like the collection it contains, is an idiosyncratic statement free from anyone else’s expectations.